The 18th Annual Keels & Wheels Concours d’Elegance, benefiting The Boys & Girls Harbor, is now accepting car and boat entries for exhibitors to participate in the event, which is scheduled for May 4-5, 2013. 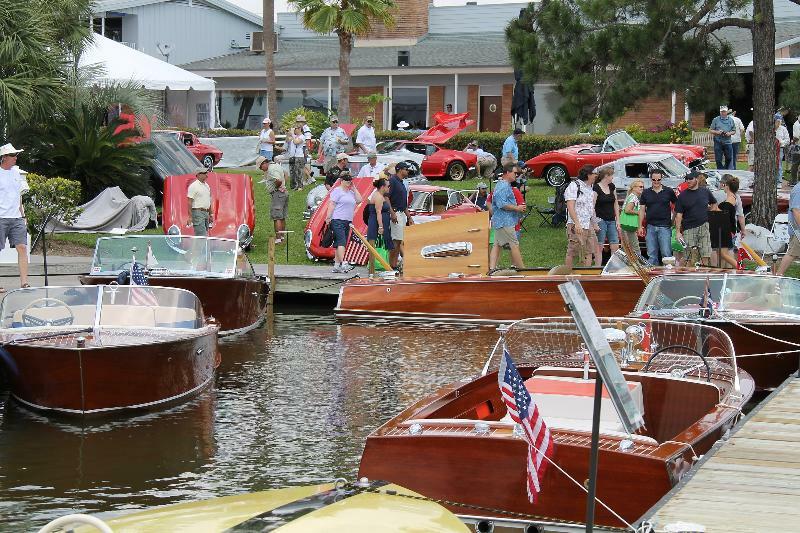 The weekend-long, nationally acclaimed classic car and vintage wooden boat show takes place each spring at the Lakewood Yacht Club in Seabrook and attracts more than 20,000 attendees. The exhibitors and spectators come from every part of the United States, contributing to the more than $1 million that the Concours has raised to date for local charities. Owners of classic cars and antique wooden boats are encouraged to register for the judged competition, which takes place on Saturday, May 4. The classic boating event is sanctioned by the Antique and Classic Boat Society, an international organization established to standardize the judging procedure. This year, the event will once again welcome Bill Warner as the honorary chief judge. As the founder of the Amelia Island Concours, which is one of the most prestigious Concours in the nation, as well as the recipient of the 2002 Meguiar’s Award Collector Car Hobby Person of the Year, Warner’s expertise and insight on classic automobiles is among the most proficient in the world. His extensive knowledge and encompassing history of involvement in such events makes him and his assessments an asset to the Keels & Wheels Concours. Invitations and entry forms for the 2013 Keels & Wheels event are available online and must be submitted no later than March 1. Because only 200 automobiles and 100 boats will be selected, it is important for submissions to be made as early as possible. Potential exhibitors are asked to submit one photo of the car or boat, along with year, make, model, owner information and a brief history of the entry. Typically Keels & Wheels does not consider any automobiles newer than 1972 for entry in the event. Event officials also are currently recruiting sponsors for the event. Potential sponsors can choose from six different support levels ranging from $1,000 to $50,000, and include bronze, silver, gold, platinum, presenting and title sponsorships. All levels of funding will receive recognition in printed collateral, a color advertisement in the program, VIP guest passes to Saturday or Sunday Concours, complimentary guest passes to the Friday Evening Party, VIP parking pass, and the company logo will appear on the Keels & Wheels website. Further benefits are available for higher-level sponsorship packages. For more information about entering a classic automobile or antique boat, sponsorships or to download an entry form, visit www.keels-wheels.com or visit Keels & Wheels on Facebook. I am the original owner of my 1961 Corvette, recently completed a 3 year restoration. My son (Now living in Pearland & has attended the show) has a C5 Corvette. He thought it would be great if we were to enter our cars in the 2014 show, you know, old guy – old car, young guy – etc. Sounds like the thing to do. Please put me on your email list and let me know when we can submit our applications for 2014. Thank you.